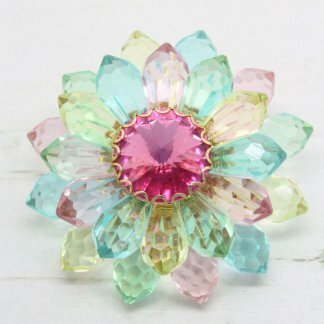 Description: This stunning brooch has been produced by vintage costume jewellery company Lisner – Famous for creating timeless jewellery with modern designs using sharp, clean edges. 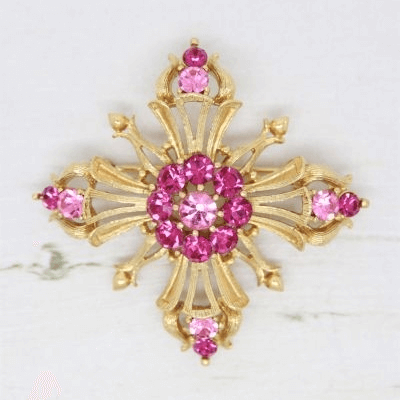 This 1950s brooch features stunning candy pink and deep fuchsia crystal rhinestones in a gold plated Maltese cross style setting. Measuring 5.1cm at widest point. The brooch is in good condition showing slight to no wear. It appears unworn. Fully signed to the back and complete with a strong roll lock clasp. 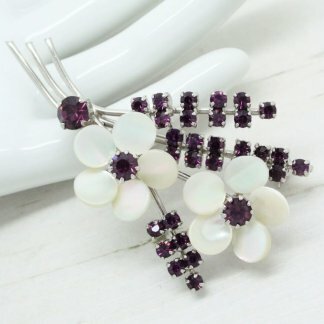 A delightful brooch that would be the perfect addition to any jewellery collection.